Tickets for this event have SOLD OUT. ﻿The venue can accommodate a maximum capacity of 40 members per session and we&apos;ve reached that maximum. Please visit wbez.org/events for other fun events this winter season. You&apos;re an avid wine consumer, but you consistently feel out of the loop at restaurants or dinner parties when it comes time to smell and taste the stuff. To you, bouquets and notes are words for other settings. 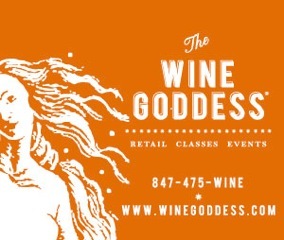 WBEZ is partnering with The Wine Goddess in Evanston to enhance your wine education. In November, Diana Hamann and Kate Soto, Proprietress and General Manager respectively, invite a select number of WBEZ Members to experience the wines of Italy and Argentina through an interactive education and tasting session. On November 20th, 2013, we’ll indulge in the wines of Italy. Chefs and Sommeliers both know Italian wines are among the best "food wines" around, but grape varieties like Falanghina, Dolcetto and Cortese are hardly household names. Wine educator and Proprietress of The Wine Goddess Diana Hamann will give us the low-down on the Italian grapes we should know, and how to use them at the table when channeling our inner-Mario Batali or Giada DeLaurentis.